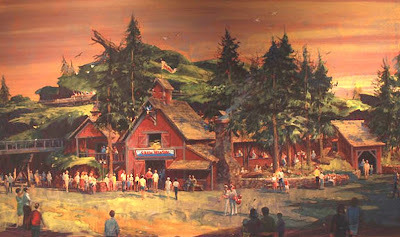 The artwork article this week is all about Disneyland, U.S.A! I know you like when the artwork is in high-res, unfortunately for once it's not the case today - but don't worry, you should survive! 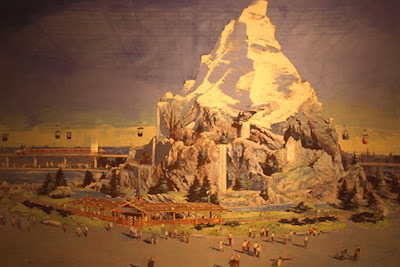 Above is a rendering for Adventure through inner space and the next one below show, of course, the Matterhorn. 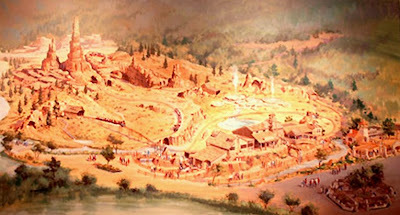 A great early concept-art for a WDW Big Thunder Mountain. This next one shows the Splash Mountain entrance. And this last one is an overview of Toon Town! New book about Disneyland ! New " UP ! " Poster released ! New one minute clip from Pixar's " UP! "